Former Spanish professional basketball player and Olympian Ferrán Martínez aged 49, is using his sports industry and business knowledge to support Globatalent, a platform giving gifted athletes the chance to fund themselves through selling their future sporting revenue rights to fans and token holders. 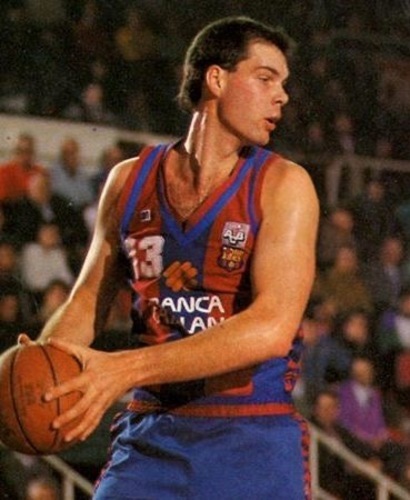 Ferrán Martínez enjoyed a decorated basketball career, achieving legendary status amongst his Spanish countrymen while competing internationally 156 times. Alongside national duties, he played for some of the world’s most renowned clubs including FC Barcelona and Greek-based Panathinaikos. After retiring from professional basketball in 2002, Ferrán Martínez turned his attention towards education, gaining MBAs in sports management from La Salle University, Barcelona and Saint Mary’s College, San Francisco, USA. In 2005, Ferrán founded several companies related to sports and finance, specializing in the wealth management of great fortunes of sportspeople and celebrities, and later led private banking units in, Andbank, Banco Sabadell, Mirabaud and UBS. He also co-founded the technology companies Bidaway, Entanglement Partners and WorldMastery among others. He is also the author of four books on business management, coaching and finance. Following his entrepreneurial experiences, Ferrán Martínez became a serial investor and business angel, specialising in the financial technology and blockchain industries. After relishing the success of playing professional basketball at the highest level, the initiation of a fair and inclusive process for talent acquisition became close to his heart. Ferrán Martínez plays an integral part in helping Globatalent achieve this goal, applying an insightful combination of elite sports industry knowledge and blockchain technology wisdom. If you would like to interview Ferrán Martínez, please do not hesitate to get in touch. Media information provided by Famous Publicity. For further information, please contact Dom Hogan, on dom@famouspublicity.com or Tina Fotherby, on tina@famouspublicity.com or call +44 (0)333 344 2341. This press release was distributed by ResponseSource Press Release Wire on behalf of Globatalent in the following categories: Men's Interest, Women's Interest & Beauty, Sport, Personal Finance, for more information visit https://pressreleasewire.responsesource.com/about.